You know that feeling of dread that sneaks up on you when someone wants to show you pictures of their family vacation/wedding/new baby? Well, you should be feeling that right now. I have missed out on over three months of splashing the interwebz with pictures of me with my hands on my hip, in the right light and at the right angle. And now, we are going to make up for lost time. The above is only slightly true. Partially. Mostly. Whatever. I actually just wanted to post about what I was up to over the past few months. Seriously amazing, right? That's part of the trail connecting Discovery Bay/Lo Fu Tau to Mui Wo on Lantau Island. Of course, going to Hong Kong also meant something pretty amazing: I wore high heels. Not just once, either. We're talking 4-5 times. I know, I know. That alone is something worth writing a blog post about. I wore dresses, too. ON NUMEROUS OCCASIONS. It was just a big 'ol party in the big city. I had a great time seeing family and friends and celebrating Christmas. If it looks like that, it's not really work! And then during January, I did nothing. Okay, not nothing, but...nothing of interest. Work. Running. Eating. The occasional trip outside. Just go-go-go, you know? 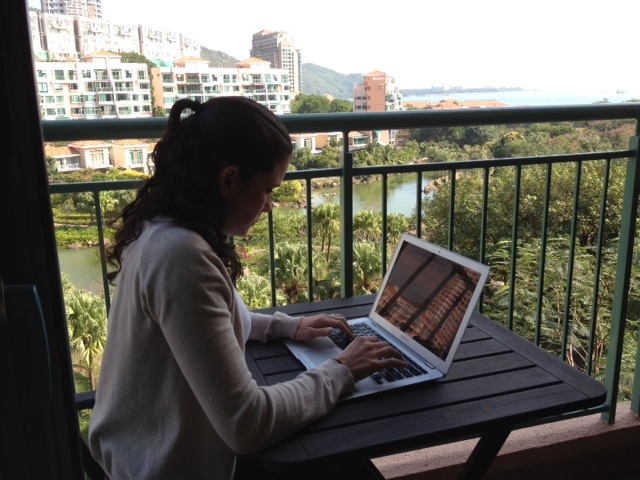 Alright, I think you're all caught up on my life after a three-month blogging hiatus. I'm not sure what's worse - the fact that I think people care, or the fact that I can sum it up so perfectly in one tiny blog post. Since I have been only half-participating in the blog world lately, fill me in on the best thing that happened to you over the past few months. Or the worst thing. Or if you have ever had a gummy bear bigger than mine. Very glad to see you back! I really do enjoy reading your posts. I have started Orienteer racing and LOVE it! It's a race where you are given a map with various check points and have to use an old school compass to find your way there. Teams with the quickest times and most check ins win. - some have set time limits others are open ended. Also signed up for my first RAGNAR in Cape Cod in May. Excited for that! 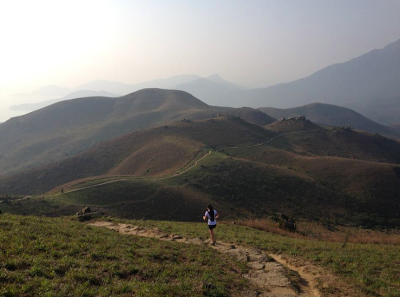 The Hong Kong trail photo is gorgeous. Love exploring places on foot! I joined a curling league and invented the spaghetti sandwich. WHOA. I never realized how pretty Hong Kong is. I just always picture a big metro, I guess. While you were gone, I watched movies and ate and DNS'd a marathon and gained four pounds. You probably missed some really classic tweets about the Superbowl losing power. That's what happens when you drop the ball on social media...you miss the important stuff in life. WOW that's a fantastic photo in Hong Kong. Absolutely beautiful! You didn't miss anything in my world! I've been injured and did 100% nothing cool. There. Consider yourself filled in. WHOA you have the king of the gummy bears! Does it taste just like a small Haribo one? Hong Kong looks beautiful. Its on my list of places to visit. I went to Sao Paulo, Brasil for a week. Not long enough and I miss it terribly. Haha, I feel like I could sum up the past three months in a paragraph so don't feel bad. The picture of you running in Hong Kong is absolutely beautiful. You should frame that one! 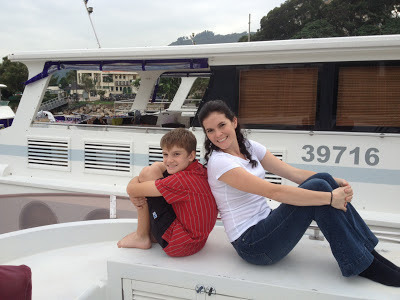 happy belated birthday and that pic from hong kong is amazing! That is a great looking gummi bear. I want it. I wrote some assignments, went to visit family in Calgary for Christmas, complained about winter, and complained about winter some more. I ran the Goofy Challenge, and Tink Half, and nothing else in January. And now I'm hosting a virtual race fundraiser for pediatric cancer research, and being super lame about "training" for Eugene marathon in April. Haha is it bad I can't think of ONE thing to tell you?! Says a lot about my life, I guess!! I'm pretty sure heaven is made of those gummy bears. YUM. Gorgeous Hong Kong picture. Let's see - we went to Hawaii, drank copious martinis at Christmas, & I finally started to run regularly again. That's pretty much it! Beautiful photo of the Hong Kong trail. Hmmmm I went on vacation twice and started a new job position... Seems like forever so, but I guess that's something! Gorgeous pictures!!!! I was born in Korea and I have ALWAYS wanted to visit Asia. Lucky duck! glad you had a good trip! That gummy bear is HUGE! Where do you even find such a thing? Texas? I love that you can sum it all up in one blog post. I can sum up my last few weeks as running, eating, and working. Not so much blogging or reading! Very fun to catch up with you girl. 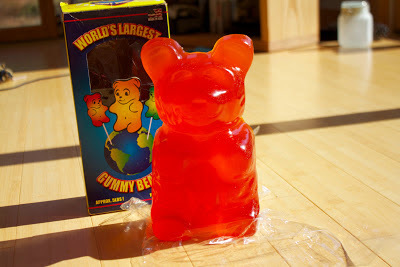 It looks like you are doing great and seriously where did you get the giant gummy bear? I want one right now! Myrtle Beach Marathon Recap: Sub-4!